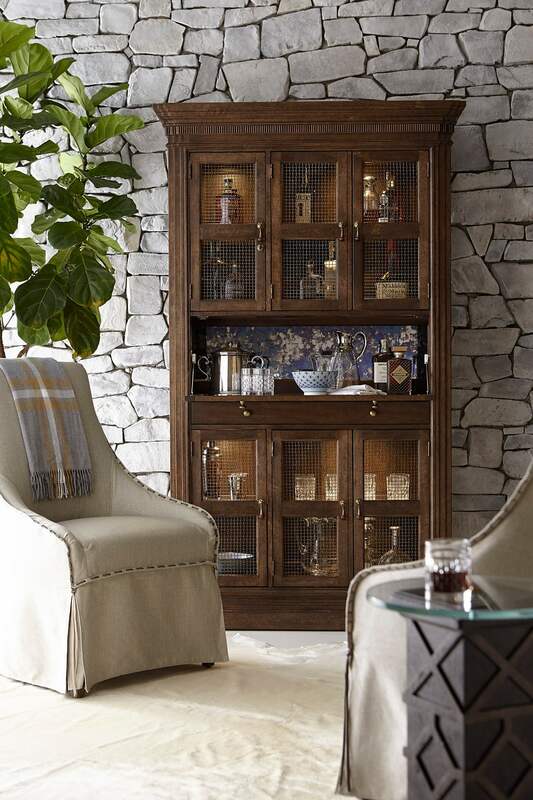 The handsome Kentucky Bourbon Locker is perfect for an intimate gathering or for entertaining a crowd. 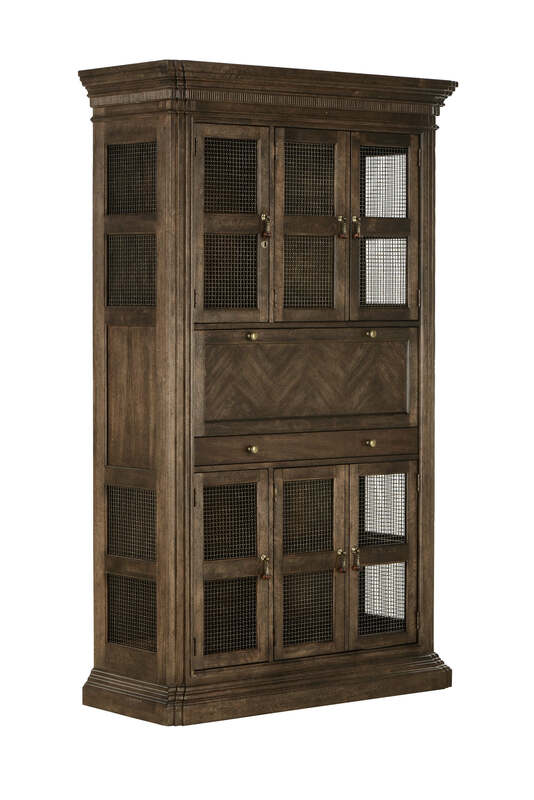 With a fresh take on traditional style, the locker has a stair step base, post, and crown, and herringbone veneer detail. The upper and lower cabinets have mesh doors (one locks to keep the good stuff secure!) and sides in an antique brass finish, and are illuminated with hidden touch lighting. The center cabinet with a fold-down work surface is backed with antiqued mirror. 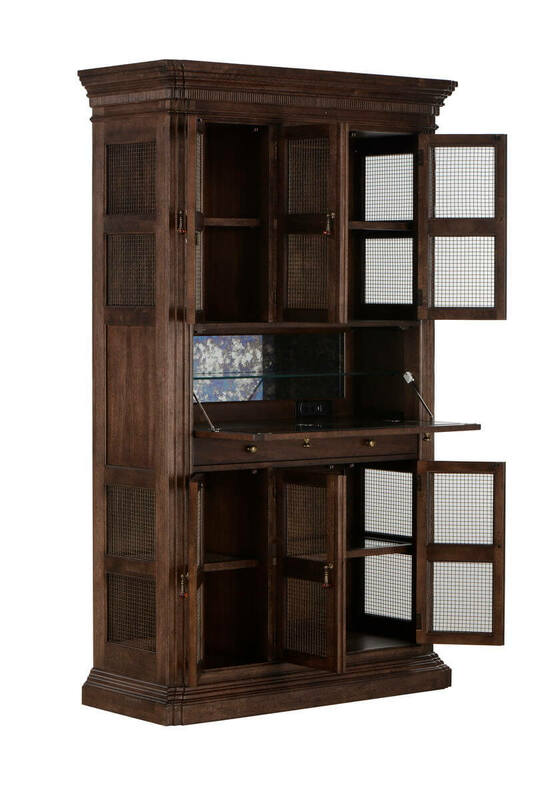 The locker comes in a rich, versatile Makers finish.